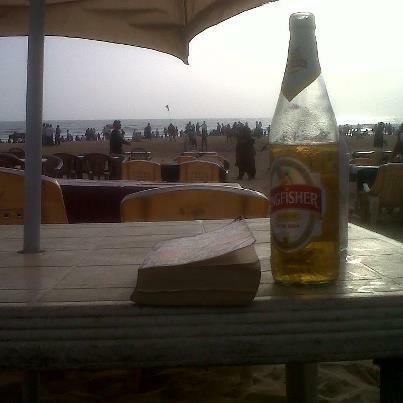 The above photo very much define the majority of taste of vacation in Goa. Although it is much more than that. This was my 3rd trip to Goa, but my first blog on it. Although this blog will just another drop in travel blogs on Goa, but will try to pour in my all three travel experiences, to make it as comprehensive & detail, to help future visitors to Goa. The first one was with my office team, with base at Varca Beach resort. If you have money, this is one of the best bets to stay in. Second trip base was in Dona Paulo, heart of Goa government, thus very neat & clean by Indian standards. Stayed there in IOCL guest house, “just awesome”: two wors to describe it. Third trip base was in Calangute beach, one of the busiest beach of Goa.